The perfect place to hold a business meeting, catch - up on your emails or meet your friends for a relaxing lunch. Our Lobby lounge, Cappuccino’s, is open everyday serving famous Caribou coffee with all coffee specialties, a large selection of the finest teas, delicious croissants, pastries, cakes and sandwiches with a take away service also available. Al Fresco is an intimate award winning Italian trattoria with a sunny outdoor terrace offering guests a selection of mouth-watering delights from Italy and the Mediterranean. 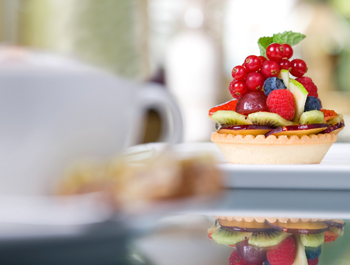 Come, sit back and enjoy a large variety of cakes & pastries, cold & hot beverages, sandwiches & salads and afternoon tea. The perfect place to hold a business meeting, catch - up on your emails or meet your friends for a relaxing lunch. English style Pub serving generous portions. All live sporting action on big screens. Chic Japanese restaurant offering good quality typical food. Has teppanyakki tables, sushi bar and two beautiful tatami rooms for an authentic Japanese experience. Best Kept Secret as meat always meets sky high standards. Fillet to rib-eye all cooked with tender care and served with aplomb by a team of professional waiters. Welcome to the world of Trader Vic's where you can escape into an exotic atmosphere and have a taste of legendary Trader Vic's-style food and tropical drinks. Since 1934 Trader Vic's has been dedicated to preparing only the freshest meals with the finest ingredients from around the world. Wagamama offers delicious pan Asian food in a sleek beautiful designed restaurant. The lively atmosphere and friendly staff makes it the perfect place to dine. 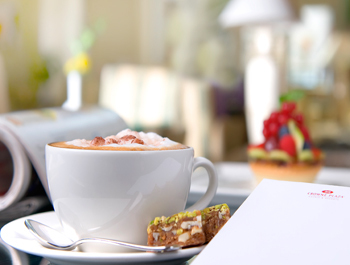 Crowne Plaza Dubai hotel -- your choice for world-class business and dining. Step from the shimmering glass-and-chrome of Sheikh Zayed Road into Crowne Plaza Dubai's marble and caramel-toned Lobby. Dubai International Convention and Exhibition Centre and the World Trade Center directly face Crowne Plaza Dubai. We're steps from Emirates Towers metro station, which connects with Dubai International Airport in 20 minutes. A 7-minute shuttle ride away, you can shop at the Dubai Mall or marvel at the mind-boggling height of the extraordinary Burj Khalifa.